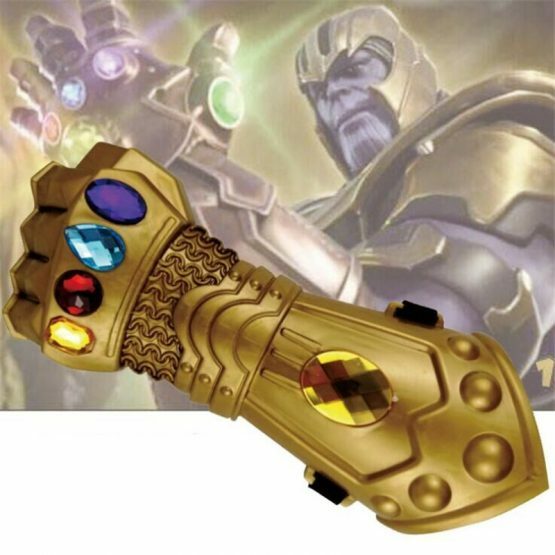 Get the Marvel Thanos cosplay costume at cheapest rate. This Costume includes Thanos bodysuit, vest, gauntlet , boots, gloves and mask. Additionally, you can opt for ring, hand gloves too. Get limited period 10% off coupon code: FB10. 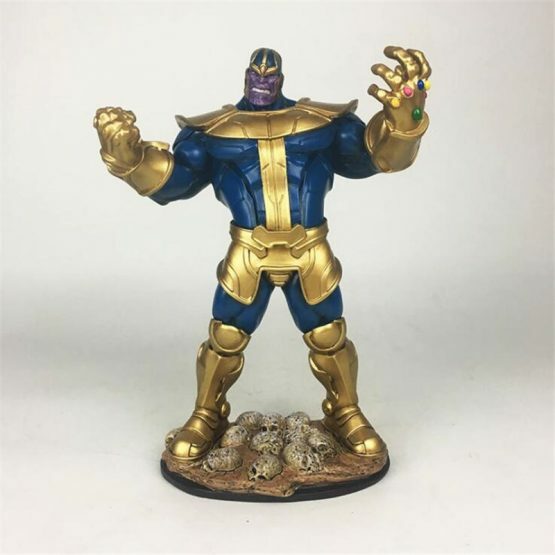 Thanos, a supervillain, that complete wracked havoc on all Avengers has quickly become a popular super villain of all the times. 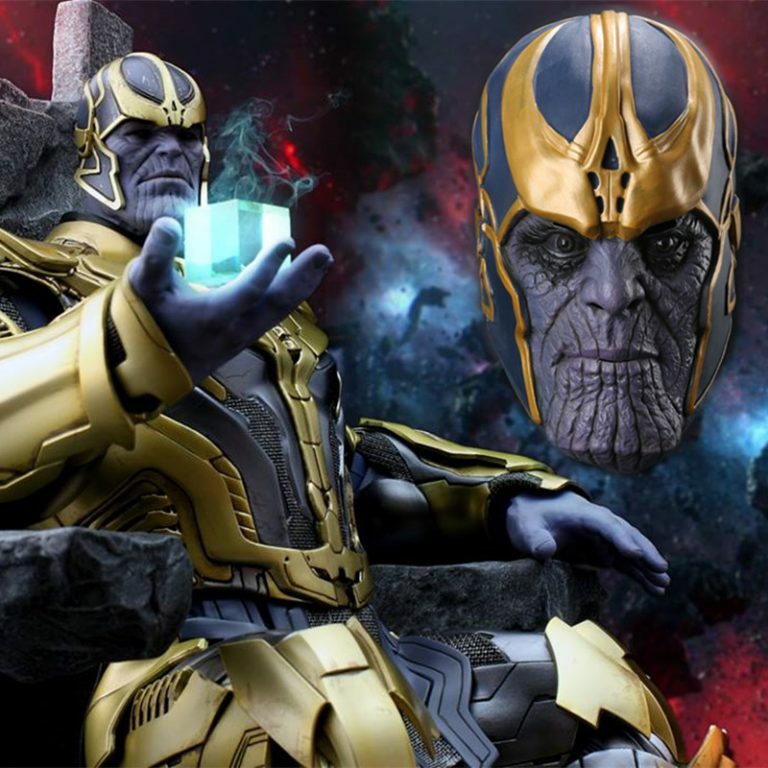 In other words, Thanos is the most popular villains in the Marvel Cinematic Universe and has conflicted with numerous heroes including the Fantastic Four, the Guardians of the Galaxy, the X-Men and the Avengers. In addition, the character has viewed in many comic versions such as video games and animated television. The Marvel Cinematic Universe (MCU) is full of fantastic costume designs, which make for the perfect party outfit. There have been many Marvel Thanos costumes this year, but few have considered as overwhelming as this fan of Avengers. 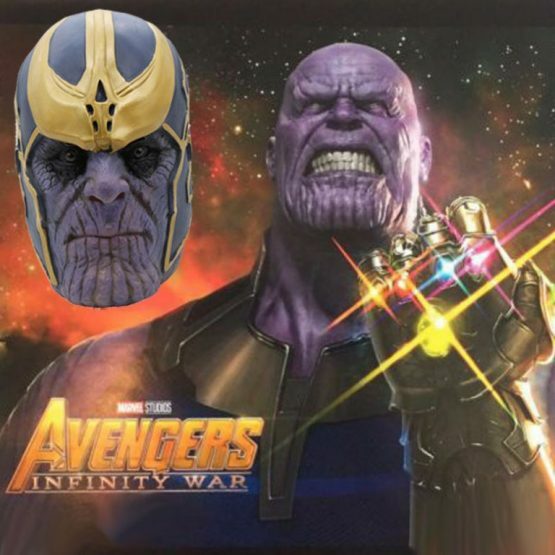 Complete your Thanos cosplay costume with this awesome different Thanos costumes such as a head mask, bodysuit, Thanos hand gloves, etc. 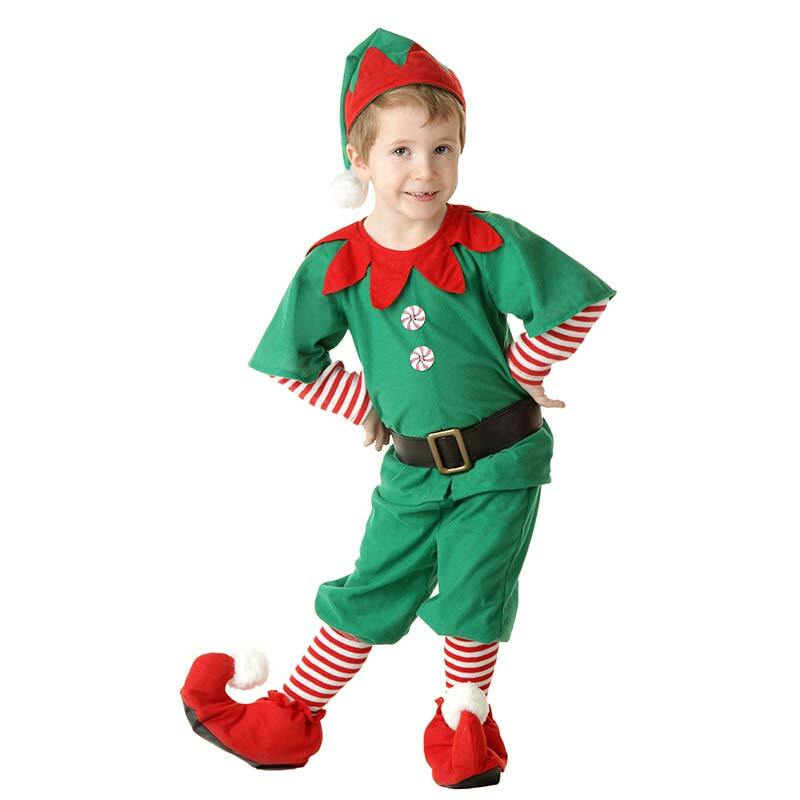 These costumes are great for Costume parties, Halloween, Carnival, Easter, Christmas party or any other parties. 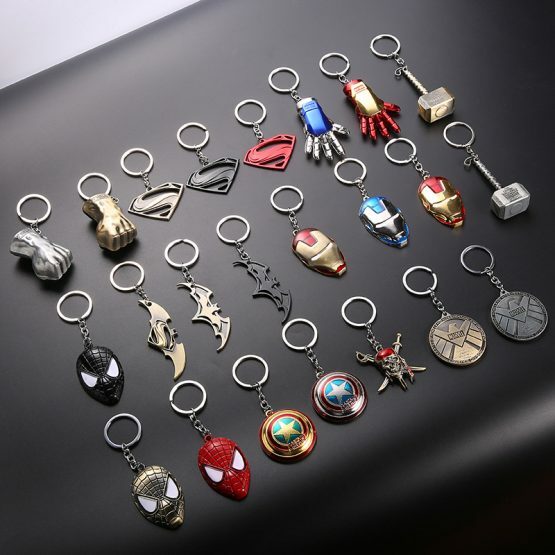 Here we provide the different Thanos Costumes including most famous hand gloves, bodysuit, mask, marvel keychain and so on. 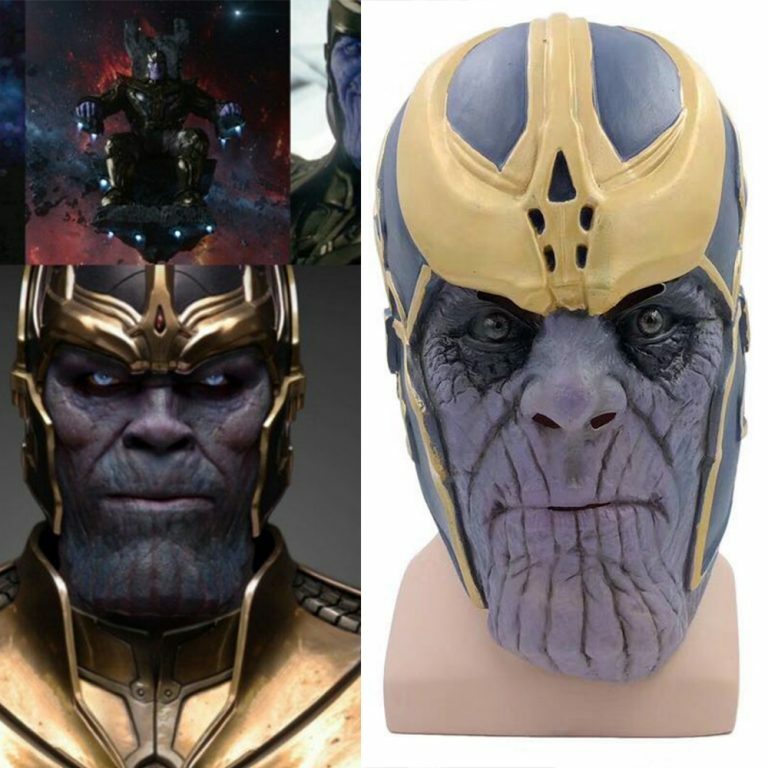 There are several types of Thanos costumes in a market. 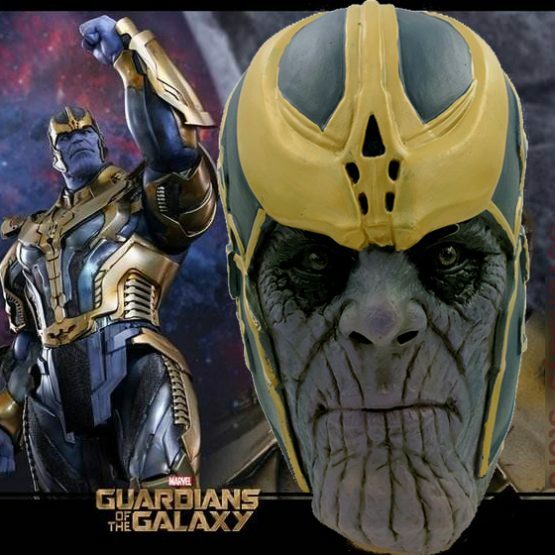 Now, you can check here the popular Thanos cosplay costume in details. High-quality PVC material with LED light. The LED light in gloves works perfectly. This LED glove is very flexible and you may easily move your fingers. So, you will get the best price and best quality. Gauntlet gloves are perfect for Halloween party. It is also an awesome gift for friends. 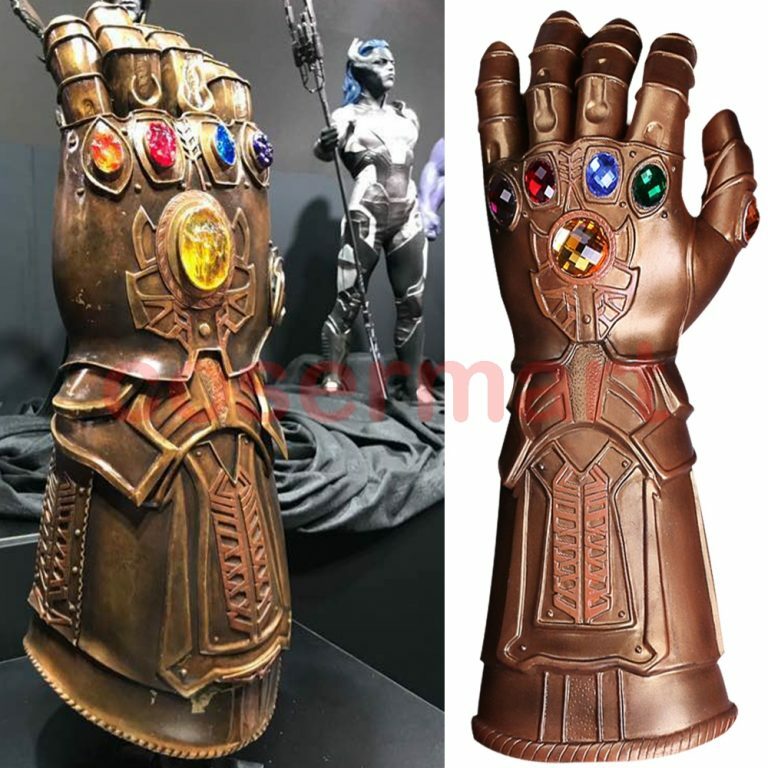 There are six infinity stones inlaid on the gauntlet glove. 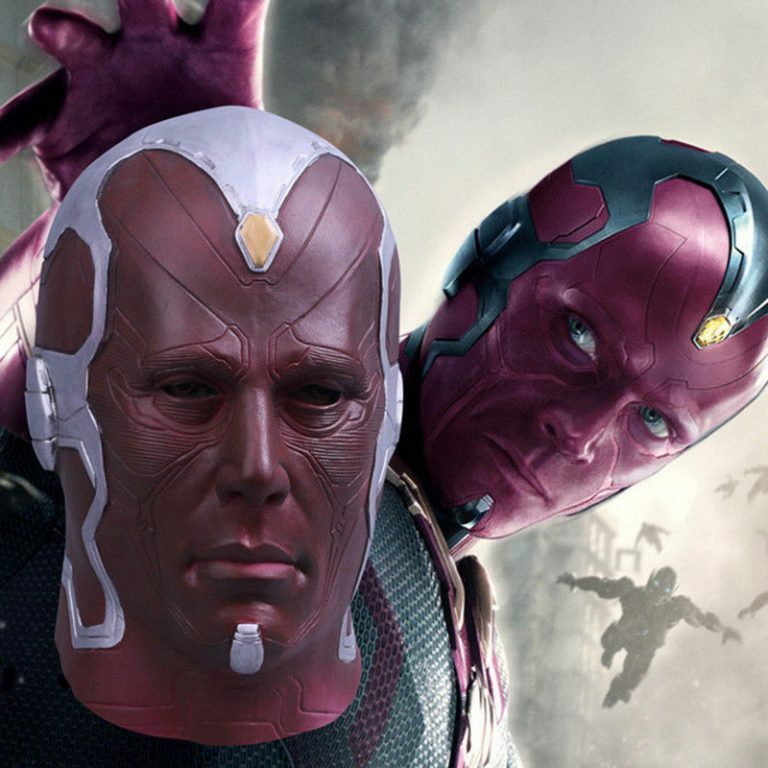 The latex mask is formed to look like the villainous character from the Avengers movie. 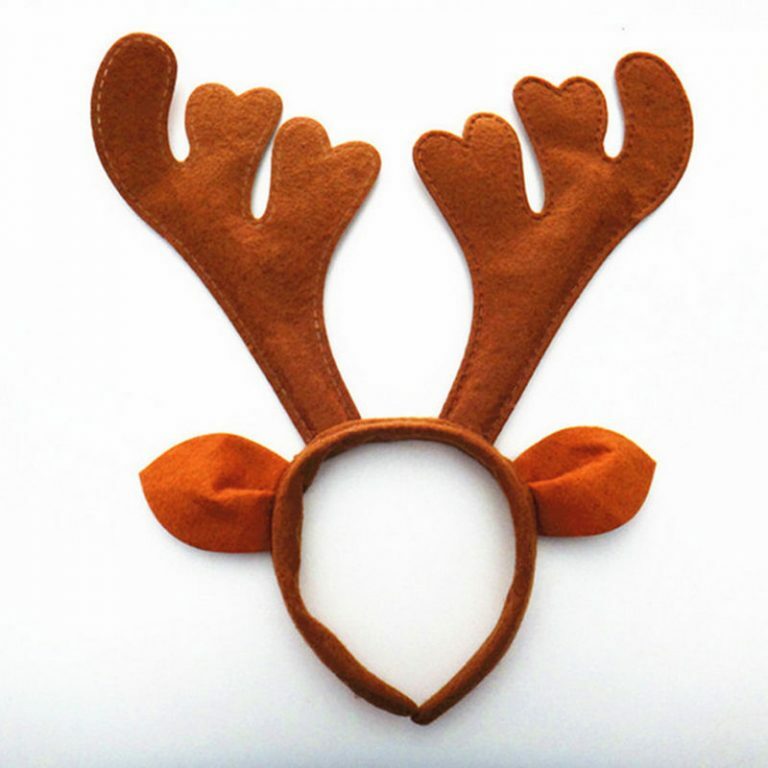 This mask is perfect for costume parties, masquerade parties, Halloween, Christmas, etc. Latex mask fits most adult heads. The full head costume material is latex and it is cool for party masks like horror party. Avengers Infinity War Full Head Costume generally fits adult heads. 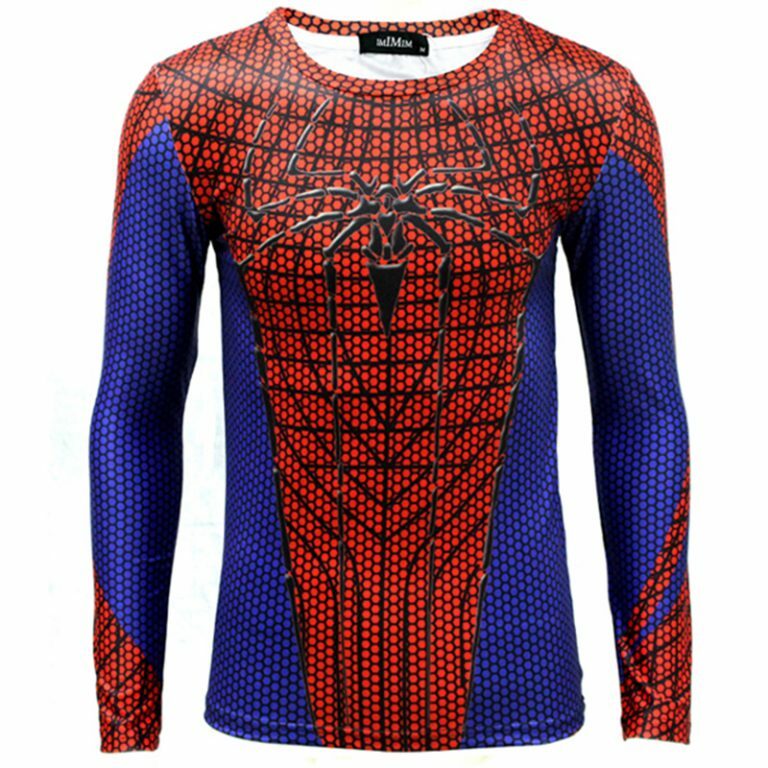 This cosplay costume is 100% brand new & high-quality material. The material of head mask is used soft latex and for a glove is used hard latex. Moreover, both glove and mask are for adults. Having said that, you can relive the entire moment with an array of Thanos costumes available here. 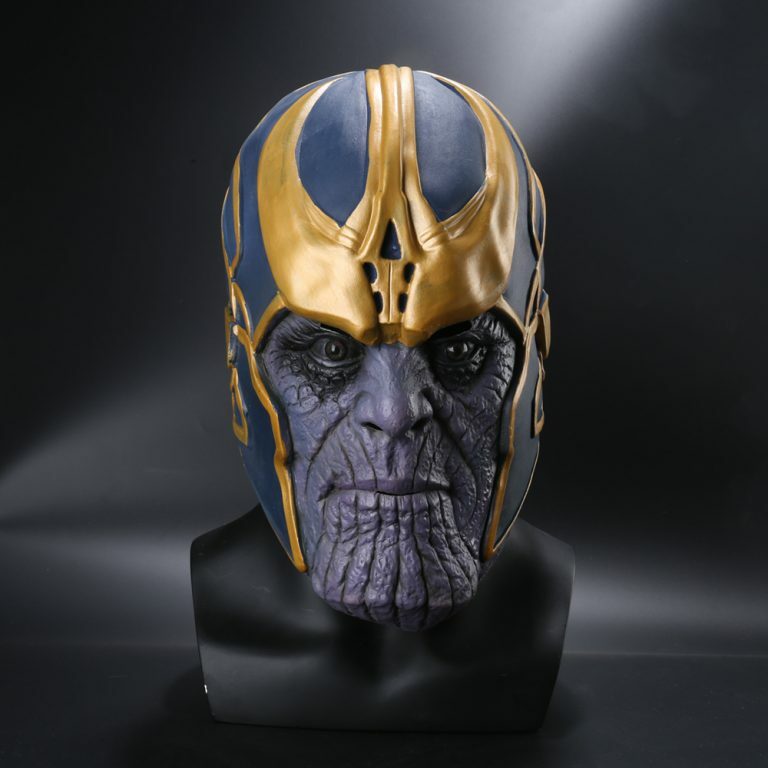 Costumes joy has provided over 10 different Thanos cosplay costumes 2019 including full body suit, popular Thanos hand gloves, head mask etc. 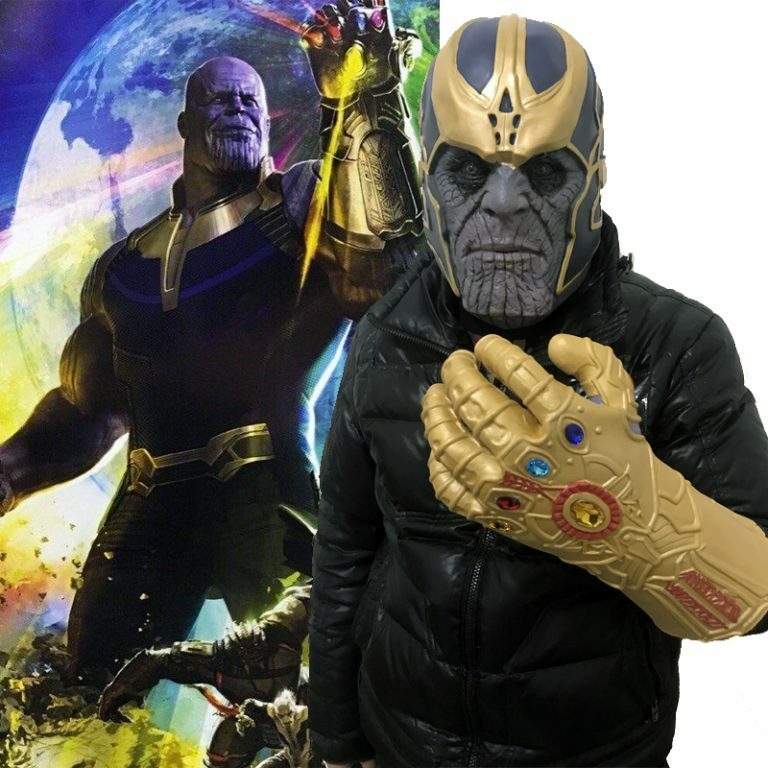 Get Thanos cosplay at the cheapest price on the internet.